629 days before Colin Kaepernick first took a knee during the national anthem on a late summer night last year, Mikayla Cowling pulled out her phone and opened up Twitter. In a few seconds, the then-freshman on the Cal women’s basketball team would become a part of the most significant display of activism in the history of UC Berkeley athletics. Until then, though, Dec. 13, 2014 was just another gameday. Cowling was lounging in a hotel room with her teammates a few hours before their game against Long Beach State when she began scrolling through her feed. It didn’t take long for her to see it: an effigy of a lynched black body hanging by a noose from UC Berkeley’s Sather Gate had been erected that morning. No one knew who was responsible or why it was there. All Cowling understood in that moment was that the image taken on the campus she was about to represent in competition stung in a deeply personal way. Suddenly, Cowling’s phone started vibrating with the unmistakable vigor of a group text gone out of control. Her teammates had seen it, too. As the entire team and coaching staff caught wind of what had happened, chaos broke out in the team hotel. 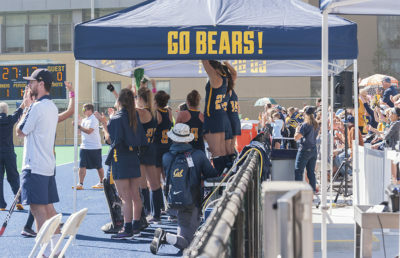 Riled up by images they felt were indicative of their treatment over the course of their four years at Cal, the team’s seniors started cursing the school. Others cried. Head women’s basketball coach Lindsay Gottlieb did her best to keep herself and her team composed but found it almost impossible. With emotions running high, the team convened in Gottlieb’s hotel room for an impromptu meeting. Such a meeting, albeit in a less volatile setting, wasn’t uncommon. The coach of a predominantly Black team, Gottlieb had worked hard to ensure her players were given the opportunity to have the very discussions so vital to the team’s current predicament months and years in advance — not just in formal meetings, but around training tables and study lounges. Recently, there had been a lot to discuss. 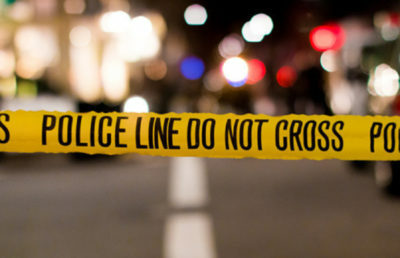 Five months earlier, Eric Garner, an unarmed Black man in Staten Island, had been killed after being placed in a chokehold by a white police officer for allegedly selling loose cigarettes on the street. Less than a month after Garner’s death, an unarmed Michael Brown was gunned down by a police officer in Missouri, sparking a series of widespread demonstrations and violent nights in Ferguson. And less than a month before the effigy was hung at UC Berkeley, a 12-year-old Tamir Rice was shot and killed by police after an officer mistook his toy gun for a real one. 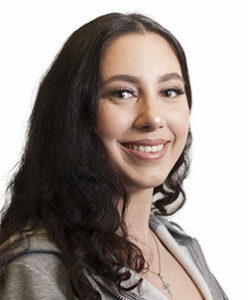 During her time with Cal women’s basketball, Gottlieb watched certain members of her team consistently stopped more frequently than others at airport security checkpoints; dealt with a radio announcer at the 2013 Final Four who had to apologize after making inappropriate comments toward her team during a broadcast; and had to physically restrain a player after a fan at an opposing school directed a racial slur at the student-athlete. In response to all this, the team had already arranged to take a future activist stand, ordering warmup T-shirts that read “I Can’t Breathe” — the haunting last words of Garner — for its home game eight days later against Louisville. This moment was nothing new for the team, which, in many ways, is exactly why the athletes believed they couldn’t continue standing idly by. In Gottlieb’s hotel room, the team discussed the best way to proceed. Hesitant to represent the school they now felt betrayed by, some players came up with the idea of wearing their uniforms inside out for the entirety of the game. Others felt they shouldn’t show up to play at all. Both felt insufficient. Then-sophomore forward KC Waters had an idea: What if each player wore a shirt with the name of a different historical victim of racial injustice written on the front with the year of their death scrawled beneath during warmups? The idea struck a chord with the team: It acknowledged the deep-rooted and institutional nature of each killing and was practical enough to get done in the ticking minutes before the game. The team and coaches were on board. Still distraught from the shock of the image, everyone got to work. Associate head coach Charmin Smith and assistant coach Kai Felton hustled to Target to pick up the necessary materials. Meanwhile, players at the hotel began researching the names and dates they wanted spelled out on their shirts. One by one, players started lining tape onto the shirts. The display was ready to go. The team wore the T-shirts all throughout warmups and acted in solidarity when the national anthem played; every team member raised her hands above her head for the entirety of the anthem, a symbol of innocence that had been ignored too many times by police in recent months. Almost predictably, Cal lost that game to Long Beach State. It had been a long, emotional day. Gottlieb, though, issued a statement as glowing as she ever has about her players after the game. Ostensibly, the 2014 protest seems to seamlessly intersect with the narratives of both recent examples of athlete activism in the wake of Kaepernick and UC Berkeley’s own almost mythical historical relationship with protest and activism. A closer look, though, reveals just how exceptional that moment in a mostly empty Long Beach State basketball gymnasium on a Saturday afternoon in December really was. From UC Berkeley’s Free Speech Movement and Jackie Robinson’s groundbreaking introduction into Major League Baseball to the Milo Yiannopoulos riots and Kaepernick’s kneel, both UC Berkeley and the sports world are deeply rooted in activism. Despite these rich histories, however, the T-shirt display put on by the 2014-15 California women’s basketball team is the only known public social or political demonstration made by any Cal student-athlete within their field of play in the 145-year history of Cal athletics. The most complicated of questions can often be asked with one simple word. 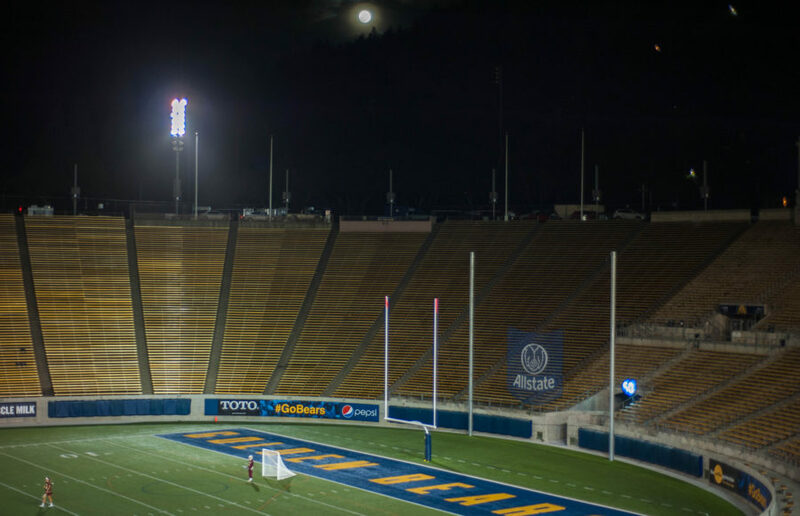 On Nov. 11, 2016, Zoe Clark of the Cal women’s soccer team took the field the day before her team’s matchup against Pepperdine as she would before any other game on any other day. Soccer balls lay strewn across the pitch, players had just finished lacing up their cleats, and coaches began yelling out commands. All Clark had to do was look to the sky, though, to assure herself that something was indeed very different about this day. It was there that the helicopters were circling directly over the practice field, making so much noise as to nearly drown out the chants and bullhorns coming from Sproul Plaza. It was three days after election night. Perhaps no singular moment better demonstrates the growing social and political challenges facing the roughly 850 UC Berkeley student-athletes who, in large part, are forced to live dual lives during their time on campus as they find themselves facing questions such as the ones running through Clark’s head almost daily in the age of Kaepernick and President Donald Trump. Trump forced nearly every athlete’s hand in September 2017 by issuing a series of statements targeting professional football and basketball players for kneeling during the national anthem. The last month has represented the latest iteration in the long and complicated history of the intersection of sports and social activism. Kaepernick started a movement in August 2016 when he began kneeling in the name of racial injustice and police brutality during the customary pregame ritual of the playing of the national anthem. Even Kaepernick, though, is the byproduct of the history that came before him. His protest and the wave that followed would be unimaginable without Jackie Robinson, who braved death threats and on-field attacks to break the Major League Baseball’s color barrier in 1947. It can be traced back to Muhammad Ali, who refused induction into the U.S. Army on principle after being drafted to fight in the Vietnam War in 1967. And it is an act downright impossible to imagine without Tommie Smith and John Carlos, who both raised black-gloved fists on the podium during the U.S. national anthem after medaling in the 200 meter sprint at the 1968 Mexico City Olympics to show solidarity with the Black Power movement. Far fewer examples of student-athlete protests of social issues exist. In one example of a team-wide activist movement, the University of Missouri football team joined campus demonstrations in 2015 to address the both institutional and overt racism the school had been prone to since its founding by refusing to participate in any football-related activities until a series of demands was met. The team’s boycott ultimately played an instrumental role in forcing the resignation of the then-University of Missouri System president Tim Wolfe. Despite the efficiency of the Missouri boycott, though, student-athlete activism continues to lag behind the displays seen at the professional level. That gap could be explained by schools with politically laid-back reputations as being the byproduct of a more tame social activist culture. No such excuse exists, of course, at UC Berkeley, where, as your admissions tour guide was surely eager to tell you, the 1964-65 Free Speech Movement — a widespread series of protests aimed at the administration’s decision to ban on-campus political activities — began. 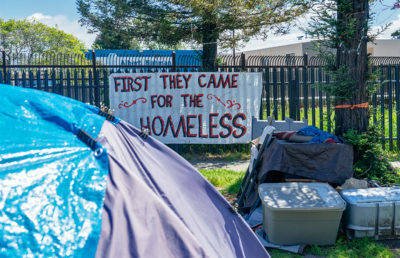 It’s where the Third World Liberation Front organized a strike in 1969 leading to the creation of the campus’s ethnic studies department, where thousands of students gathered over the course of the many anti-Vietnam War rallies held in Sproul Plaza. 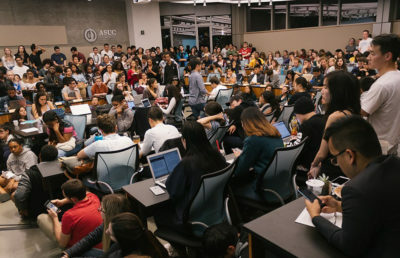 It’s where just last month the eyes of America turned as the looming specter of the politically charged Free Speech Week hung over campus in the wake of the 2016 campus riots related to Yiannopoulos and Trump. In theory, to be a student at UC Berkeley is to be inextricably linked to that history of activism. And for the majority of students on campus, that is almost certainly the case. 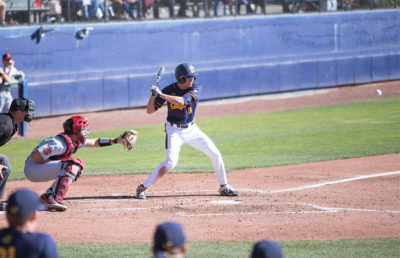 In talking with those involved in the UC Berkeley athletics community, however, very few student-athletes feel a strong connection to that past. “One of the things I found in my 32 years as a faculty at Berkeley that I became very much aware of is the extent that athletics at UC Berkeley are really isolated from the general political climate on the university campus,” said Harry Edwards, professor emeritus at UC Berkeley, as he reminisced on his time as a sociology professor. In 1967, Edwards returned to SJSU while attending graduate school at Cornell University and found that conditions at the school hadn’t improved. While nationwide movements were being led by Martin Luther King, Jr., Angela Davis and Malcolm X, Edwards got the SJSU football team involved in issuing a series of demands on behalf of Black student-athletes to the school’s administration. A football game was canceled as a result of the magnitude of the ensuing movement, which, after stretching across more than 100 college campuses, is the most widespread example of student-athlete activism ever. Two of the student-athletes under Edwards’ tutelage at SJSU? Tommie Smith and John Carlos. Edwards soon joined the UC Berkeley faculty as a sociology professor in 1970, where he taught classes on the sociology of sport for more than 30 years. Now a consultant for the San Francisco 49ers, Edwards gives regular talks to this day about sports in society. UC Berkeley athletic director Mike Williams is in the unenviable position of having to try to bridge the gap poetically exemplified by Clark’s experience at practice a few days after election night. Williams, who had been on the job less than six months when the women’s basketball team took its 2014 stand, said the athletic department is doing its best. A number of current and former student-athletes, however, questioned how realistic those ideals really are. For Vincent Johnson, an offensive lineman for Cal from 2013 to 2016, fitting into the larger student body and sociopolitical climate was difficult. That antithetical relationship can be summed up in one acronym: “NARP” — Non-Athletic Regular Person — the semi-derisive term used to describe nonathletes familiar to almost every student-athlete on campus. NARPs are equally as capable of judgement, too. Noah Westerfield, a senior outside linebacker from Frisco, Texas on a football scholarship on campus, said that being a self-described “6’3 Black guy with a flat top with tattoos who plays football” not only makes him feel like an outsider walking around campus — it also affects his life in the classroom. The most remarkable thing about talking to such a range of student-athletes was the unprovoked commonality of all their experiences. Nearly every Black Cal student-athlete who agreed to speak for this piece brought up stories almost identical to Westerfield’s group project scenario. They all spoke about what Clark called the “dangerous” nature of wearing athletic gear to class for a fear of being judged. Johnson said he felt “single(d) out” by some professors because of his status as a student-athlete. And they all talked about the NARP dynamic. It’s incorrect to assert that student-athletes have no sense of affinity on campus. That affinity, though, is rarely given the chance to be associated with the same values the rest of the student body holds so dear. And in some cases, as Johnson made clear, student-athlete priorities are set up directly antithetically to campus culture as a whole because of the adversarial nature between the student-athletes and the, well, NARPs. If mainstream UC Berkeley culture is to protest, then it comes as no surprise that Cal student-athletes are rarely involved because Cal student-athletes are inherently rarely involved in anything that’s a part of mainstream UC Berkeley culture. 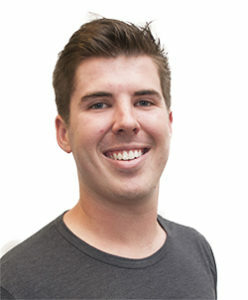 In the not-too-distant past, Westerfield came to the realization that his clock was ticking. On the precipice of preparing for his senior year, he knew his time as a student-athlete, and therefore his time with an elevated platform, would soon be coming to its conclusion. That had never really been an issue for Westerfield on campus. He was too focused on simply staying afloat individually during his freshman and sophomore years to look beyond what was happening on the football field and in the classroom. But as Westerfield watched the Kaepernick movement ripple through the sports community, he began to feel it, too. Westerfield started opening up dialogues with other student-athletes, finding many of them privy to exactly the kind of institutional and societal issues raised by Kaepernick. Many of those conversations happened with redshirt junior women’s volleyball player Ashten Smith-Gooden. Sick of being stuck in the student-athlete bubble, Smith-Gooden and Westerfield, along with cross country’s Eugene Hamilton III and track & field’s Ashley Anderson, headed to the Black Student-Athlete Summit at the University of Texas, Austin in January 2017. In Austin, the dynamics each of the student-athletes had become almost numb to on campus were validated by the experiences of other student-athletes they met. The summit dealt with issues such as Kaepernick’s protest and the institutional racism at the core of the student-athlete experience. Smith-Gooden said a discussion on intersectionality is what affected her the most. Upon its return to Berkeley, the group decided to take the lessons from Austin to create a new space devoted to speaking on the issues of the Black student-athlete on campus. The result was the Black Student-Athlete Committee (BSAC), a group that began meeting every other week in spring 2017. This year, the group is focused on providing a forum for student-athletes to share their experiences. 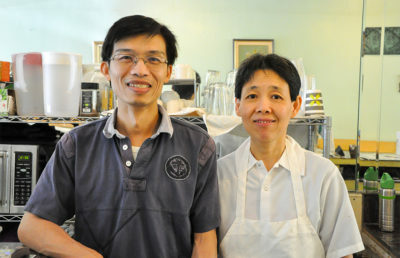 Currently, about 25 regular members come to every meeting. Westerfield wants to see that number continue to grow, but the very existence of the group is an achievement in itself. At a school boasting hundreds of recognized student clubs and groups, the creation of the BSAC may seem insignificant. Its conception, however, marked the first time student-athletes, and particularly student-athletes of color, had a space to themselves to discuss the issues the larger campus culture had previously stifled from being discussed in the open. The BSAC offers a type of representation to student-athletes rarely seen in the modern era of NCAA athletics as a whole — a culture, organization and greater ecosystem that hides a fundamental stripping of student-athlete individuality and rights behind the illusion of “team-based” values and priorities the moment a student signs up to be a student-athlete. His former teammate, Johnson, feels the same way. He said the NCAA is ultimately responsible for hindering the student-athlete voice because its leaders cannot relate to the experiences of everyday student-athletes. Stuck under the jurisdiction of the NCAA, athletics on campus are bound to the organization’s rules and regulations. Cal’s athletic department itself seems to at least be trying to give its athletes more freedom. Athletic director Williams, for example, was in communication with the 2014 women’s basketball team when it decided how to proceed and did not interfere with its efforts. It’s almost impossible to imagine Williams, a UC Berkeley graduate and former student-athlete himself, ever sending out a similar message. But while the suppressive culture within athletics is undoubtedly less overt on campus, student-athletes cited reason after reason for why they feel unwilling or unable to speak out. Arielle Ship played women’s soccer for Cal for four years before graduating earlier this year and moving on to play professionally for the Washington Spirit of the National Women’s Soccer League. Her experience at the professional level this year made her reflect on many aspects of Cal’s culture. There’s a lot to be said for that team-first, regimented culture. Westerfield, for example, mentioned how lost he would have been as a freshman without the strict guidelines inherent in life as a student-athlete. As long as they’re called student-athletes, though, the issue is that many of those guidelines infringe upon the rights of student-athletes as true students within the larger context of the university. Take media relations, for example. Each Cal student-athlete sits in on meetings before every season to go over media rules and acceptable posts to make on social media. Ship says that while it wasn’t explicitly discouraged to avoid controversial political topics, particularly during Trump’s political ascension, on social media, it certainly was not recommended. As a professional, Ship says there’s no such thing as social media meetings anymore. At her level, players are free to manage their online profiles autonomously. Clark, now at Maryland, broke down how she would deal with the media in a hypothetical scenario in which she were to protest something as a student-athlete. Ultimately, that burden of representation — having to speak for rather than as a part of the school at all times — stops many student-athletes from stepping out into the spotlight. Top student-athletes in revenue sports football and basketball are often more recognizable on college campuses than that school’s president or chancellor, and, being on national television at least once a week in season, they certainly get more widespread recognition. In that sense, student-athletes should really have a third word attached with a hyphen at the end of their title: spokesperson. Coaches such as Gottlieb are trying to push back against the system in as nuanced a way as possible, but even she, a rare exception in the cutthroat world of college basketball coaching, is limited by the environment her team is forced to operate under. 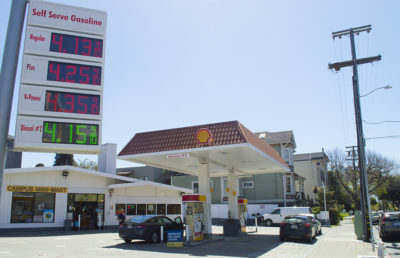 Johnson said former head football coach Sonny Dykes quickly debunked the idea of a team display of activism in an aside during a team meeting about the time Kaepernick’s movement started taking off last year. That, however, is not Gottlieb’s style. “I just don’t understand how it’s okay when coaches say, ‘Oh, there was an election? We don’t know about that here, we just know about basketball or football.’ Like, how is that okay?” Gottlieb said. Football players Johnson and Westerfield, though, both said they felt new head coach Justin Wilcox would be in support of a protest as long as it was agreed to by the team and that the head coach has tried to give his players more freedom during his first year on the job. As currently constituted, however, Wilcox and Gottlieb are fighting an uphill battle for student-athletes. A main reason for that? Hours in the day. Smith-Gooden said that during her busiest semesters at UC Berkeley, she was up at 6 a.m. and didn’t return home until late into the night — a lifestyle not uncommon for many student-athletes. Such a schedule doesn’t leave much time for deep political discussion outside the classroom. Smith-Gooden tries to attend as many activist club and group meetings as possible during the week, listing each as if it were a class she needed to attend each day. The volleyball player probably had the most optimistic outlook of any student-athlete who agreed to speak for this story. Even she admits that staying fully engaged politically is impossible. It’s easy to tell that that sacrifice has weighed on someone like women’s basketball student-athlete Cowling. During her nearly four years on campus, she has given a lot of herself to the school. She doesn’t feel like UC Berkeley as an institution has given enough back to her. 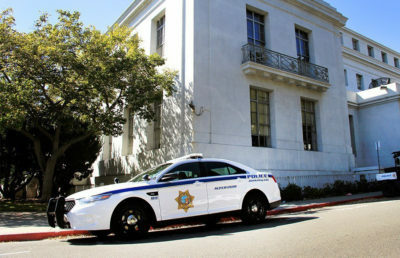 Recognizing the potentially disastrous situations that could be brought about by her team being near Sproul Plaza during Free Speech Week in late September, Gottlieb ended practice and meetings early, figuring out rides for each of her players who would normally have to walk near Sproul Plaza to get home. From Cowling’s perspective, the very institution she’d fought for so often on the court had decided to make it almost impossible for her to walk home from practice by herself. 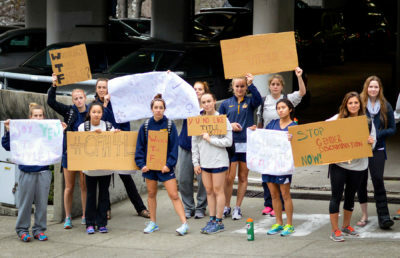 This academic year, nearly three years after the Cal women’s basketball team protest, about 850 Cal student-athletes will have the opportunity to make a statement addressing any of the injustices that exist in society today. At the capital of college activism, it is unlikely that any of them will. As the Kaepernick movement zipped across sports last year, the Cal women’s soccer team never came close to taking a knee during the national anthem. Despite their progressive tendencies, neither did members of the Cal women’s basketball team. 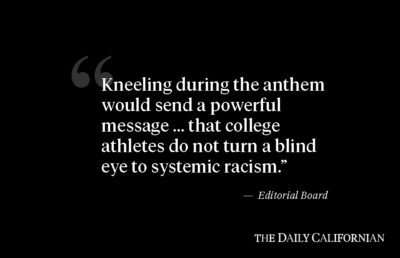 Though Cal football players don’t have the option of kneeling for the anthem — television technicalities mean players don’t run out onto the field until after the song’s completion — no display of on-field activism has ever been seriously considered even by Westerfield, a BSAC founder. For professor emeritus Edwards, a man who has devoted his life to fostering athlete statements of protests, this can be attributed to campus leaders and, more broadly, a lack of leadership in the activist community. It’s yet to be seen whether a decentralized movement such as Black Lives Matter can elicit the kind of leadership Edwards says is necessary to inspire a widespread movement on the collegiate level. Under the leadership of Smith-Gooden and Westerfield, the BSAC is trying to take Cal student-athletes there. The club has garnered nearly universal respect among Black student-athletes on campus, with upperclassmen coming up to Westerfield regularly, saying how nice it would have been to have the group as a freshman or sophomore. The women’s basketball team does its best to make the biweekly meetings, and Gottlieb said her team would have a discussion about what to do during the national anthem as the season neared, leaving open the possibility for a protest. A top recruit coming out of high school, Westerfield had his fair share of choices of colleges to attend, including more historically dominant football powers. He chose UC Berkeley, though, for reasons far beyond football. That feeling led Westerfield to the summit at Austin where the foundation for the BSAC was laid, and he hopes it can inspire future generations of Cal student-athletes to become more involved in the campus community as a whole. For now, though, Westerfield will graduate in the spring from a school with major cultural issues in terms of student-athlete relations on campus. Athletic director Mike Williams is stepping down in the spring. His successor has a long list of issues to address on their first day on the job. Improving athlete and student relations will be near the top. In the meantime, though, there are games to be played and national anthems to be sung. It’s likely that as hundreds of student-athletes stand in line with their hands over their hearts during the “The Star-Spangled Banner” this year, many will not be thinking about the races they are about to run or the gameplans their coaches have laid out. Keeping that focus is simply impossible today. Instead, maybe a handful will think about Tommie Smith and John Carlos. A few more will remember Eric Garner or Tamir Rice. Perhaps others will keep the 2014 women’s basketball protest running through their heads. For reasons largely out of their control, they will keep those thoughts inside. 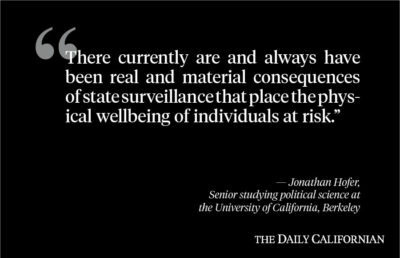 At UC Berkeley, a group of students has been so marginalized that they, many holding views on human rights that would fit right in with the message emanating daily from Sproul Plaza, are afraid to speak. Clark stands for “The Star-Spangled Banner” before every game. She, like so many of her fellow student-athletes, does not know why anymore. The song stands for a country that has for so long systematically oppressed people who look like Clark, another cog in an unjust system targeting people of color every day. She pauses for a moment, the embodiment of a student-athlete struggling to reconcile with her roles as both a subverter and a byproduct of the very system of oppression she knows deep in her heart to be unjust, before finishing her thought in a more muted tone. Contact Nicky Shapiro at [email protected] and follow him on Twitter at @notnickyshapiro.